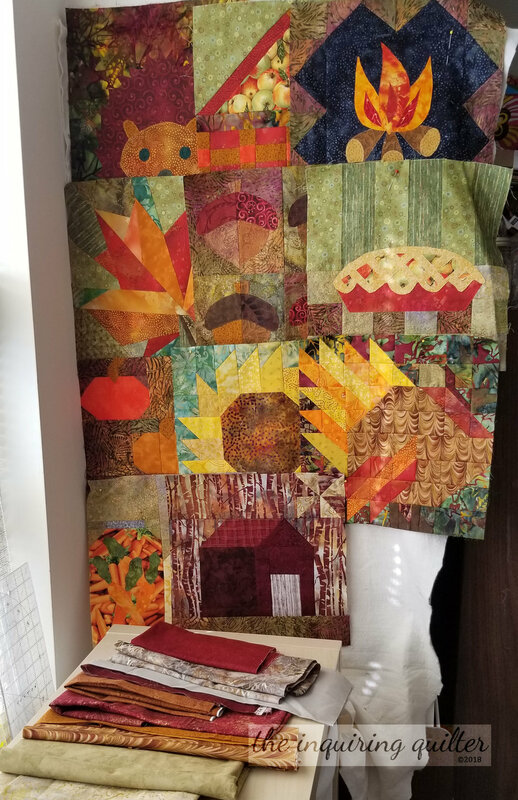 Welcome to the last block in the Fall into a Quilt Along! Yep, all twelve blocks have now been released. Catching up? Click here to learn where you can get your patterns. The twelfth block in our quilt along was designed by Vanda @ Quilting with Vanda. I’m a big bird watcher, but try as I might, I don’t think I’ve gotten a photo of an owl despite the fact that we have had owls living in our neighborhood off and on through the years. I love owls though, and really enjoyed reading the Guardians of Ga’Hoole with my daughter. Here are some random photos of birds I have taken. This block uses raw-edge fusible applique to create the owl. If you’ve never uses this technique before, don’t worry. As a quilt along host, I’m here to help! As usual, I had a few goals for this block. First, I wanted to use a light background for this block. I’ve been alternating lights and darks for my backgrounds and I needed one more light background block to round things out. Second, if possible, I wanted to use the same “feather” fabric I’d used in my turkey block to simulate the feathers on my owl. After pulling fabric for my block, I laid it out as it would be used so I could see how my final owl would look. Finally, I checked my final fabric pull with the blocks I’ve already made so I could be sure that everything would look good together. When you print out the applique templates from the pattern, make sure you print at 100% and do not scale the pattern to fit. Be sure to measure your printout to make sure it's right. Yep! The 1-inch square measures one inch! Cut your background square larger than needed, just as instructed. I’ve found that applique often distorts your block just a bit, so working with a background that's large enough so you can square it up after you get the block appliqued is a good idea. I cut my background 13” square. I use the Crafted Applique method for my fusible applique, which fuses the raw edges so your applique pieces don’t fray. It also replaces the fusible to some extent (I still edge-stitch my pieces so they’ll stay). After printing the templates, I marked the edges of each piece that needed to fit under another piece. I then cut out each piece, cutting any marked edges a little bit bigger to give me more wiggle room for placing the pieces. The body piece I cut straight across so I’d have more room to place the eyes and beak. When cutting out pieces, I use my Clover mini-clips. They act as an extra hand, holding the template in place while I cut. I move the clips along the edge of the template as I cut, to keep them in the best position to hold the fabric and template while also keeping them out of the way of the edge I’m cutting. For the eyes, pupils, wings, and paws, I folded the fabric right sides together and cut two at a time rather than use two different templates for each eye, pupil, wing, or claw. Folding it this way creates to mirror-image pieces, perfect for the pupils and wings. When I have an applique that's made up of several shapes (like this owl), I build the image on a Teflon pressing sheet. With the sheet, you can fuse each part in place without fusing the entire owl to anything. To create the owl, I started with the eyes, fusing first the eyeball then the iris in place. I placed the iris 1” from the inner edge. Next, I placed the eye unit on the body, making sure that the space between the eyes was covered by the body piece and that there wasn’t a hole there. I didn’t fuse it entirely just yet, because I still needed to place the beak. Then I fused everything. Next, I placed the wings, measuring from the edge of my square to the tip so they were even. I also measured 1-1/2” from the body to the outer edge of the wing so the same amount of wing showed. 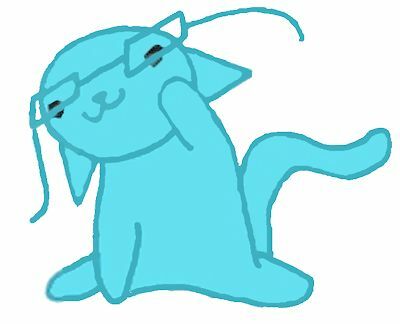 Finally I inserted the forehead and fused it. When I was done building the owl, I moved it to the background and fused it in place. Using this method allows you to center the owl on the background as a single unit. So much easier than guessing! If you don't have a Teflon pressing sheet you can use parchment paper. After fusing the owl to the background, stitch around the edges of each applique piece with matching thread. I typically use a straight stitch, although you could use a small zig-zag, blanket stitch, or satin stitch. For my block, I used Aurifil 40 wt. #2345 (Raisin), Sulky 40 wt #1035 (Dark Burgundy) and #1126 (Tan) , YLI 40 wt #022 (Cabernet), Invisifil 100 wt. #719 (Copper), and Cotton & Steel Sulky 50 wt. #753-1328 (Nickel Gray) to finish the edges of my applique. After appliqueing the owl in place, I lightly pressed my block and then trimmed it to 12 1/2” square. Here are my twelve quilt blocks. I’m so happy with how my blocks turned out. Drop by Vanda’s blog to download your free owl block pattern. First, you must be 18 years old to enter. Then, to enter the Owl block giveaway simply make the block and post it in one of these three places before the deadline. You have until Monday, October 29th at 11:59 pm EST to post your block for a chance to win this awesome prize package—a Seam-Fix Double Sided Seam Ripper and Heat Erase Marking Pens five pack from Dritz plus a PDF pattern of your choice from Vanda @ Quilting with Vanda. Don’t leave me! I need ideas on how to put these blocks together! No problem! Click here to see my quilt top and to get more ideas on how to set your blocks together. After you complete your quilt top, I encourage you to post a photo of it in our special linky at the bottom of my settings post to enter our grand prize drawing. You can also post the photo to Instagram or to our Facebook group as usual, but we hope the linky will show all the photos of the finished quilts, so be sure to link up if you can. Just look at what you could win! To be eligible to win the grand prize, you must post a photo of your completed quilt top that includes all 12 blocks in the quilt along by 11:59 PM EST November 12th. Your top doesn't need to be quilted to enter for the grand prize, but it must include one of every block in the quilt along. Remember that you can post your quilt top photo to Instagram or to our Facebook group as usual although we hope you’ll use the special linky at the bottom of my settings post. 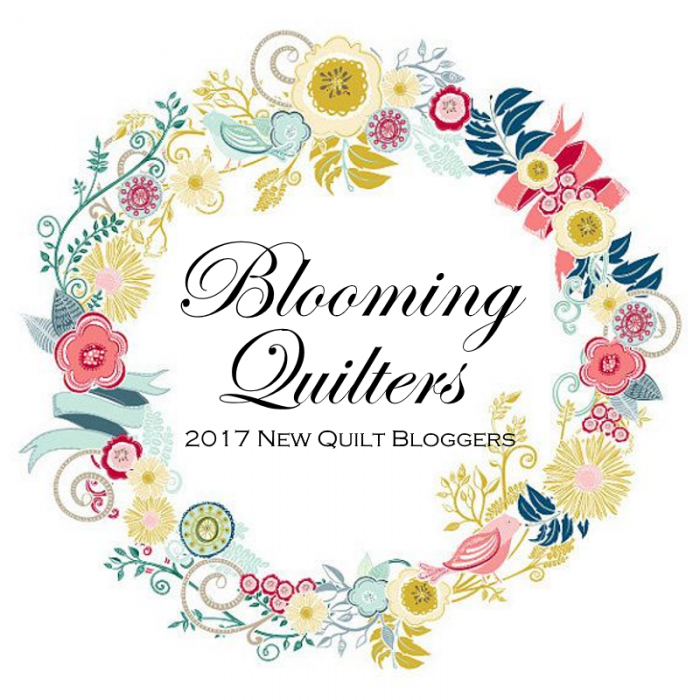 Follow me on social media or sign up for my newsletter if you’d to see how I quilt my quilt. You’ll find all the ways to follow me at the top of my sidebar. If you have any general questions about the quilt along, click the Fall into a QAL tab above. Tell me...do you bird watch? 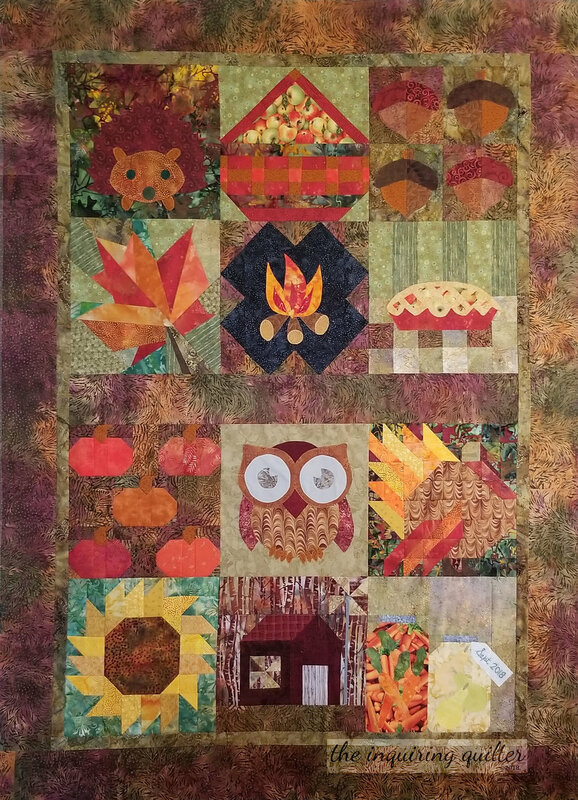 Welcome to Block 11 of the Fall Into a QAL, a mystery quilt along by Partners in Design. The eleventh block in our quilt along was designed by Abbie @ Sparkle On and it’s a barn! This block uses two-at-a-time HSTs, flip corners, and thread painting to create the barn. If you’ve never used these techniques before--no worries! As a quilt along host, I’m here to help. I had several goals for this block. As usual, I wanted to make sure I used a dark background because I’m alternating light and dark backgrounds for my blocks. Second, I found awesome fabrics for background (it kind of looks like a forest) and for the barn door so I wanted the other fabrics I used to compliment them. After pulling fabric for my block, I laid it out as it would be used to see how the final block would look. Finally, I checked my fabric selection with the blocks I've already made to ensure everything is going to go together..
First, because I decided to use directional fabric for the background and the barn door, I drew a picture of the rectangles I needed to cut so I could orient the fabrics correctly. I found Abbie's directions for making HSTs two-at-a-time really easy to understand. I use a sandboard and a small 1" x 6" ruler to draw my line from corner to corner. Then I simply sew 1/4” from that line. Be sure to trim your HSTs to 2" before sewing them into a pinwheel. You should also trim your finished pinwheels to 3-1/2”. If you want a photo tutorial with step by steps for this method, click here. My tutorial also includes a neat trick for trimming HSTs fast, fast. Flip corners are easy but you should keep some things in mind. First, carefully mark the diagonal line on the back of all of the flip corner squares. I use a regular pencil, a small ruler, and a sandboard. As Abbie suggests, sew just to the right of the line you've drawn (closer to the corner) as you see here. Sewing the seam just a bit short of center makes a bit more room for the fold, so when you press the flip square back towards the corner it will fit perfectly. Abbie’s block calls for two pinwheels, but I decided to do only one in order to simulate the kind of windmill you might find on a farm. I think the effect almost works but I’m considering appliqueing a thin strip of grey onto the background to create a pole for my windmill. Abbie’s pattern also calls for you to add detail to the barn door in the form of an X. To do that, you’ll thread paint—sketch details using thread. Sounds hard but all you need to do is to stitch an X. I decided to add that detail later, when I quilt. But if you decide to add that detail, I would fuse a light weight stabilizer to the back of the door before stitching as Abbie suggests. In addition I would use a heavier thread such as 40 or 20 wt. and stitch the lines a few times so they are dark enough to show. After I had all the block units sewn, I sewed the block together as instructed. I then trimmed the block to 12-1/2”. Here are my eleven quilt blocks. Can you believe we’re almost done? Drop by Abbie's blog to download your free Autumn Harvest Barn block pattern. First, you must be 18 years old to enter. Then, to enter the Autumn Harvest Barn block giveaway simply make the block and post it in one of these three places before the deadline. To the linky on Abbie’s blog. You have until Monday, October 15th at 11:59 pm EST to post your block for a chance to win this awesome prize package—four 1/2 yard cuts, assorted Craftsy Boundless solids plus the table runner PDF pattern, “Christmas Tree Farm” by April @ JANDA Bend Quilts. On Tuesday, October 16th be sure to come back here for the next block in our quilt along, and for setting suggestions for your blocks. The final Grand Prize package for our quilt along will be announced October 16th. You will have until November 12th at 11:59 PM to post a photo of your completed quilt top to enter for the Grand Prize. Tell me...what do you like about barns?